The 48 meter long, 484 dwt coastal freighter Finnoyglimt sank near Haugesund, Norway. The vessel sent out a distress call for help with the Rescue Service Headquarters dispatching a helicopter and rescue boats to the scene. Two crew were rescued from the water and were reported in good shape, but suffering from shock. The master of the Finnoyglimt was reported missing as no body could be found by searchers. The Finnoyglimt had only diesel fuel on board when it sank. The vessel had been used in the transportation of gravel and stone or coastal shipping. Costamare Inc., parent company of Daina Shipping Co., registered owner of the 3,032 TEU containership RENA, aground on the Astrolabe Reef off the north island of New Zealand, are cooperating fully with local authorities and every effort is being made to control and minimize the environmental consequences of this incident. The Liberian-flagged containership ran aground at 02:18 hrs (NZ Local Time) on 5th October, 2011 sustaining significant water ingress in two cargo holds. Classification Society American Bureau of Shipping (ABS) has been engaged by vessel’s technical managers Ciel Shipmanagement S.A. and through the ABS Emergency Response Service (RRDA) provide technical support by monitoring and verifying the ship’s strength and stability adequacy. Evaluations so far indicate that hull stresses are within allowable limits and that there is no deterioration of the ship’s condition. Daina Shipping Co. has already contracted Svitzer Salvage BV, one of the world’s leading salvage companies and signed a Lloyd’s Open Form Agreement (LOF). There has been some leakage of fuel oil. However, minimizing any impact to New Zealand’s coastline is the absolute priority for Costamare Inc. and the current primary focus of the salvage operations is the safe transfer of the vessel’s fuel oil from her tanks into a suitable vessel, which has been arranged to attend to the RENA. The owners, managers and operators of the RENA, along with the vessel’s crew, are working tirelessly in cooperation with the authorities, dedicated emergency responders and salvage teams to ensure this incident is dealt with as swiftly, comprehensively and professionally as possible. The RENA was built in 1990, and has a deadweight of 47,230. At the time of the incident the RENA was carrying 1,351 containers. The operators of the vessel are Costamare Shipping Company S.A. (a dedicated containership operator with over 35 years of experience in the shipping industry), while Ciel Shipmanagement S.A are the technical managers. Both companies are members of the Hellenic Marine Environment Protection Association. 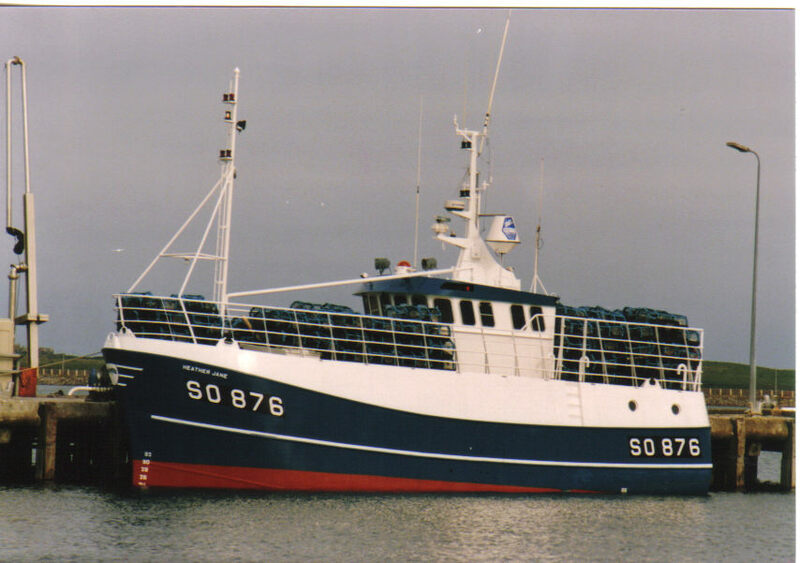 The trawler Amy Jane sank off Malin Head, County Donegal, Ireland while fishing for crab. The trawler began to take on water fast requiring all six crew to abandon ship. The crew, in their survival suits, activated the distress beacon and evacuated to the liferaft. The RNLI lifeboats from Lough Swilly and Portrush headed towards the scene. A rescue helicopter from Slingo reached the scene first and winched all six men to safety. The Portrush lifeboat took the liferaft under tow to avoid it becoming a hazard. No reports of injuries.